Today I'm up at the Design in Papers blog with this card. I love stacking decorations to make cards and there was even a sentiment on the acorn. 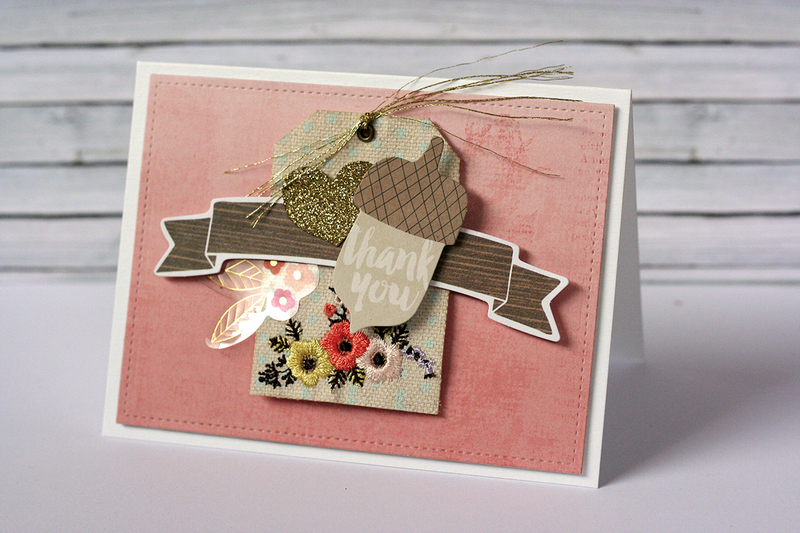 Everything on this card is from the Cedar Lane collection by Pink Paislee. I really love the papers and decos, they are just lovely colors and lots of glittery accents.